Swabhava Vaidyam & Shtree Sishu Vaidyam written by Eminent Homoeopath Dr. Pavuluri Krishna Choudhary Garu released at the hands of His Holiness Sri Sri Sri Tridandi Srimannarayana Ramanuja Chinna Jeeyar Swamiji on 23rd of April 2017. The homeopathic books Swabhava Vaidyam (Treatment based on temperament) , Shtree Sishu Vaidyam(Treatment for Women and Children) written by renowned Homoeopath Dr. Pavuluri Krishna Choudhary Chairman Academic Council JIMS & Director Hyderabad School of Homoeopathy were released on the 23rd of April 2017 at the Convention Centre of Ramoji Film City. 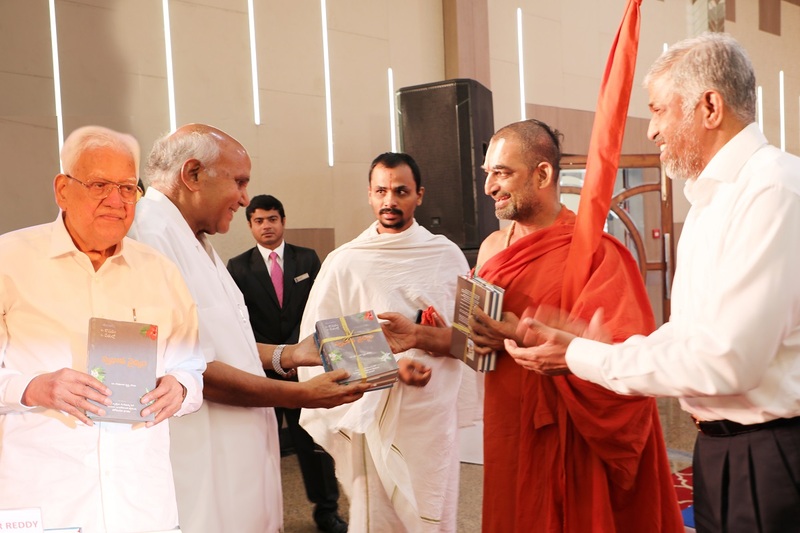 The book was released at the hands of His Holiness Sri Sri Sri Tridandi Srimannarayana Ramanuja Chinna Jeeyar Swamiji in the presence of Sri Ramoji Rao Chairman Ramoji Group. 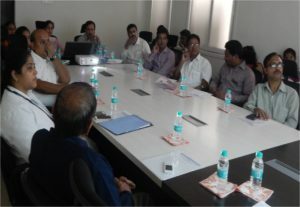 The esteemed Chief Guest for the event was Dr. Jupally Rameshwar Rao , Executive Chairman My Home Industries Private Limited. The special guest who graced the occasion with their presence were Dr. Karunakar Reddy , Vice Chancellor Kaloji Narayana Rao University of Health Sciences, Dr. A Rajender Reddy , Director AYUSH Department Telangana, Sri. J Jagapati Rao , Executive Chairman My Home Power Private Limited & Dr. Arvind Kothe Director JIMS Homoeopathic Medical College & Hospital. Eminent homoeopaths from across the city and the staff and students of JIMS Homoeopathic Medical College & Hospital attended the grand event. His Highness Sri Sri Sri Tridandi Srimannarayana Ramanuja Chinna Jeeyar Swamiji honoured Dr. Pavuliri K Choudhary with the title of “ Modern Hahnemann” and appreaciated his humungous contribution in the field of homoepathy. He expressed his desire to have the books translated in English & Hindi so that these books could benefit the society at large.